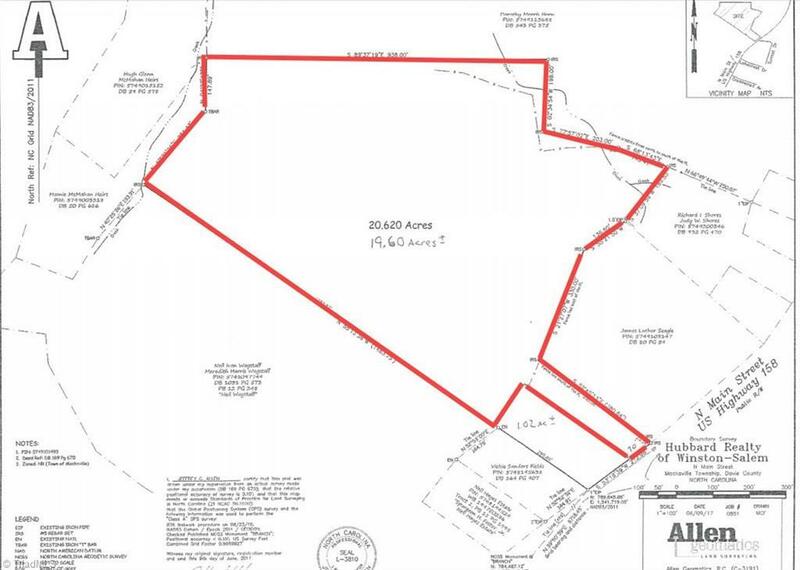 Tax Value and property tax is for entire 20.620 acre tract.Beautiful wooded, rolling tract in excellent Mocksville location. 70 foot road frontage on Hwy 158/Main Street. Adjoins 1.02 acre lot which can be purchased providing 212 feet road front on Hwy 158/Main Street. Water and Sewer Available.